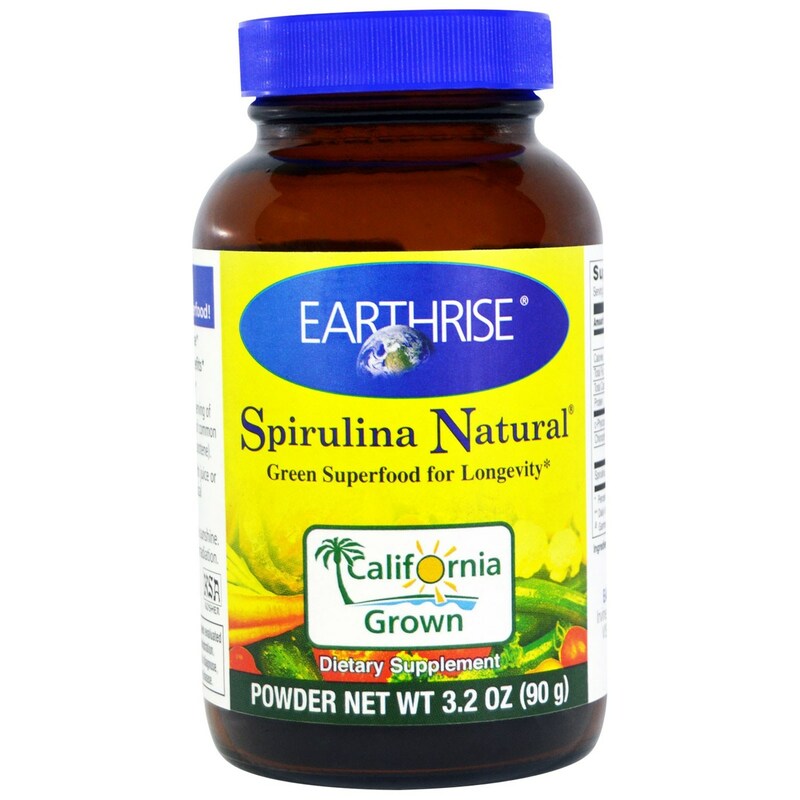 Green Super Foods for Longevity, Immmune Defense & Natural Antioxidant Protection. Eat your spirulina greens for good health! 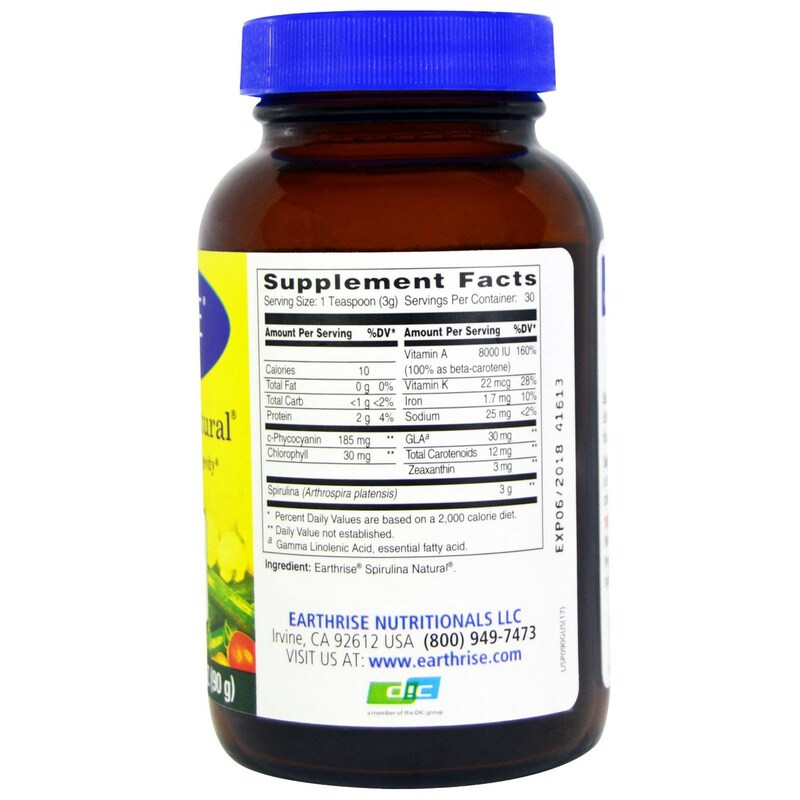 Supplement your intake of fruits and vegetables with 1 serving of Earthrise Spirulina a day - equivalent to 3-4 servings of common vegetables a day iin terms of antioxidant content (B-carotene). Advertências: If you have a medical condition or are on medication, consult a physician before using t his or any other supplement. Recomendações de uso: 1 teaspoon (3g) per day. For optimum freshness, close the lid tightly after use.